Endless Creativity For Drums And Other Instruments. Use it to clean samples, make room between dif elements by controlling attack and sustain with frequency flexibility! A must have and own for clean & punchy mixes! Very useful tool for drums, guitars, pianos, you name it! Even on reverbs to control the tail of a certain frequency - for example tight lows and open "sustainy" tops! Great use for removing unwanted sustain on drum samples, or use it before an 1176 on a parallel compression send to add amazing snap to drums! Endless uses! Go nuts! Great tool UA! I like every thing from Sonnox (Sony Oxford) very much. The Sonnox Oxford Envolution Plug-In is the most advanced Plug-In in these category. Really like on Drum tracks and so to give BD, Toms and Snares more Attack and so. Transferred Black Face ADAT recordings of direct guitars, digital modelling amps of the late 90's, electronic drums... Great performances and bring out the detail/articulation, adding dimension that was never heard before. Giving a real shot at a great mix!!! So many great uses including salvaging location recording. A great and flexible tool from subtle to extreme. 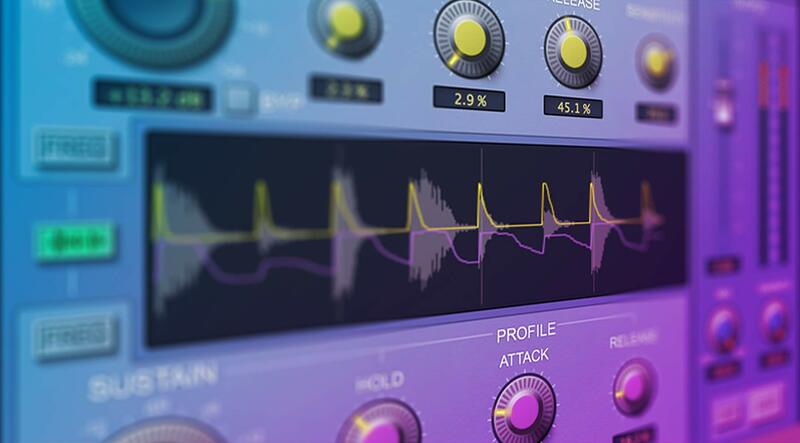 Best Transient plugin out there! Spent a morning with the top 3 transient plugins put there. Tested the Oxford extensively against the SPL & NI Transient Master. The Oxford seems to give more punch to the dynamics that the other 2, and allows more control too. The NI Transient master was my 2nd choice, with the SPL coming third. With that said, because I already own the NI version, I couldn't make the case to buy this at full retail but will wait for a sale. Amazing transient designer for most everything. Specially what I like is the EQ and the programming. Is the hiding weapon for accuracy and precise shape, sustain, thickens and body ... Drums, ambients, OH..and more. A transient designer with bells on!!! Brilliant on all kit mics but especially useful on room/ambient mics....can change the size of space of the room with one plugin!!! To my knowledge, it's simply the most precise and versatile transient shaper out there. And it does it in a very transparent way, as compare to multi band shaper. The only transient shaper i would recommend. If you like and use the Transient designer but in those rare occasions where the Transient Designer does not do it for you, this Envolution will make your world go sunny. I complete tool for envelopes on just about everything. I threw this in the master buss just to see want subtle transients I could affect in the mix... It works there too!!! This is a really cool plugin. Now I got also the visual transient control. Stays on my drums to make them snap. Great for shaping tones on snare and bass. Love this plug and plan on experimenting more with it. Sonnox Oxford Envolution .... I have only started to understand the depth of this useful plugin. Amazing pre sets, easy to customize and tighten the envelope of any track , buss, or master. Brings the shine and fat to tracks so easily. This plug seems to excel in a litany of situations and is super easy to use. It is able to impart mojo vary transparently - somehow! the best transient modulator for me.Really like on Drum tracks.